Our school used to serve as both a general hospital and a WWII debarkation hospital in the 1940s and is now known as Birmingham Community Charter High School. This location was a World War II hospital and it was built in late 1943 to early 1944 in Van Nuys. It was originally named Van Nuys General Hospital but it was renamed shortly afterwards in honor of Brigadier General Henry Patrick Birmingham, who was in the medical corps in the U.S. Army. Birmingham General Hospital mostly specialized in general medicine and treated war veterans who had issues with rheumatic fever, psychiatry, and the central nervous system. 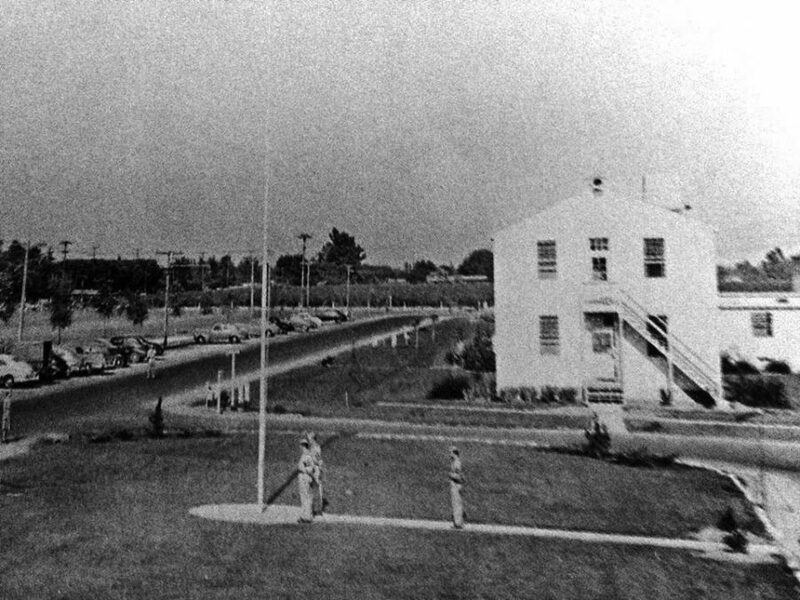 The official army history of World War II mentioned a study that occurred at this hospital in which antibiotic ointment was first used on patients with chronically infected compound fractures by major Joseph Weinberg. This was one of the first uses of topical penicillin. The hospital had around 1,777 beds and about 800 were used for debarkation activities. Many say that some of the soldiers treated at Birmingham General Hospital died from a terrible condition called gangrene, which is caused by infection and the death of tissue that happens in the extremities or on the skin. This affected many soldiers because they would often lose blood and wouldn’t get treated on time or at all. Although people say that soldiers died for different reasons, such as the hospital never really had experienced staff or because the patients were really ill, the doctors at the hospital actually didn’t have the right equipment to treat them properly. Birmingham General Hospital at Van Nuys, CA. Designated as a U.S army hospital on August 1943. To this day, stories are heard around campus and even staff members tend to hesitate when discussing whether or not Birmingham is actually haunted. To further investigate, these writers asked staff members and students if they had ever heard or seen anything abnormal around school. She’s not the only one who has experienced something paranormal on campus. About a month or two ago, this reporter was with her friend during lunch, doing our own thing, and we were looking straight ahead and I thought I saw someone coming towards her. I turned around because I actually thought someone was coming to hug her and out of nowhere, the black silhouette just disappeared in thin air. However, most people are skeptical about the paranormal and don’t believe in any supernatural events. Others don’t even believe that this school was once a hospital. This shows that Birmingham wasn’t always filled with cheerful students and staff members. It’s quite important to remember the history of our school’s campus and the people who died here as well.